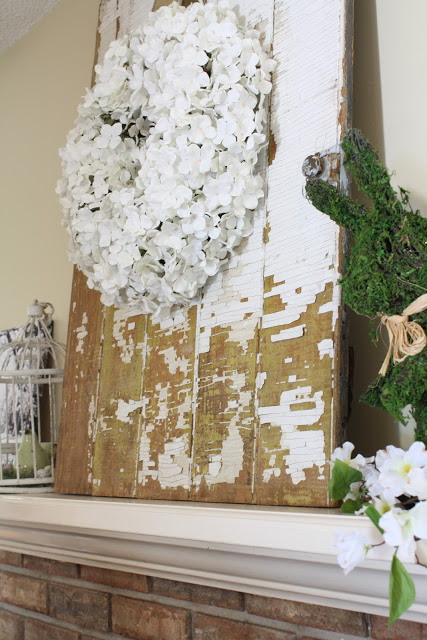 RECAP: Last week, I shared my SPRING MANTEL with you, if you missed it, click here. 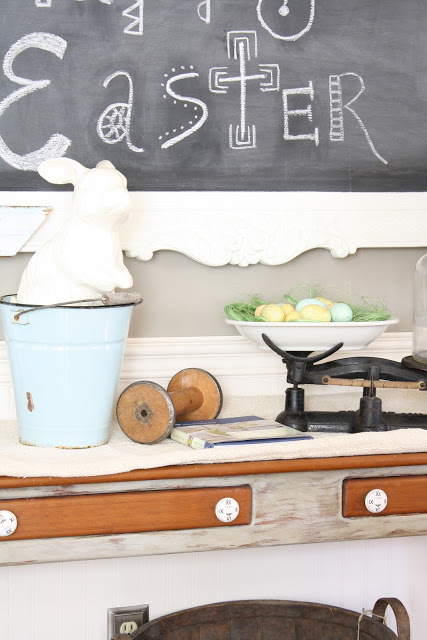 I also shared some Easter decor in my kitchen, did you miss it? Thank you for hosting! oooohhh~ I've never been first on a linky party before! First time this time! Yay!!! 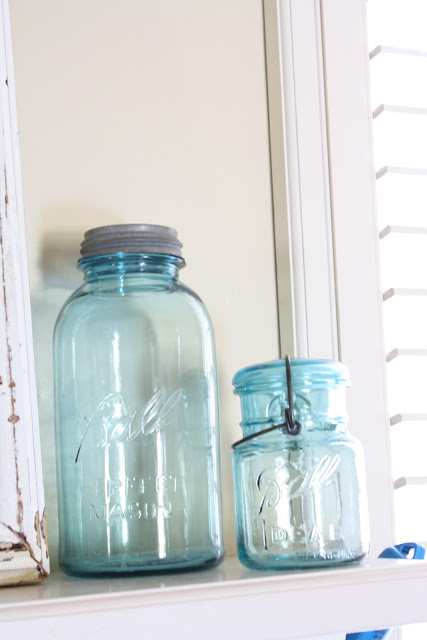 Your spring decor is beautiful, Linda...I need to do more of it! Thanks for hosting! Love all the features! Thanks for letting me join in this week! 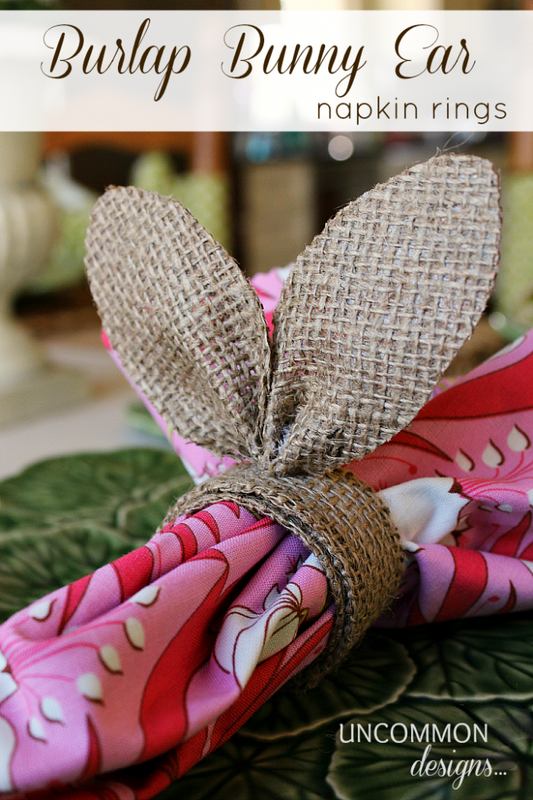 Nice features, love the bunny ears for the napkins! Thank you for hosting and have a good week. Wonderful features this week - Thanks for hosting! 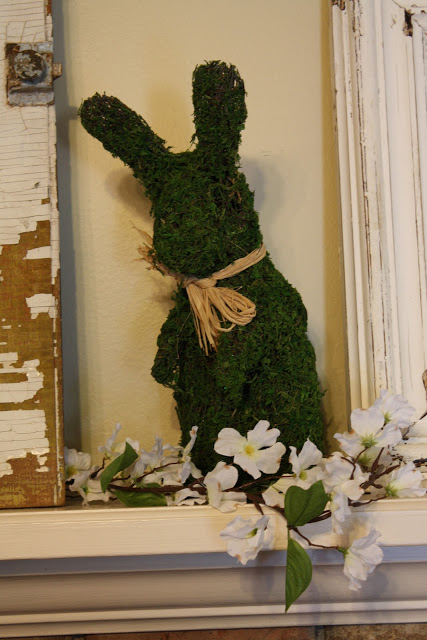 I hopped over to see your spring mantel and your party was already up, so I joined in! Thanks for hosting and have a great week! Thank you for hosing the party Linda :) Have a great week! I have to get on the band wagon with Spring Decor - you've done a beautiful job! Very pretty spring decorating! Thank you for sharing such wonderful ideas. As always, these links look awesome! Many sessions of sitting and browsing ahead! Hi Linda, thanks for hosting, always a treat to join in. Have a sunshine week. Linda, I love your spring mantle. The chippy board is fab! Really fun features too. Thanks for hosting. Hi Linda...what sweet spring inspired features...just wish it wasn't snowing here! Thank you so much for hosting and have a terrific week! Wonderful features. Thank you for hosting Linda. I hope you have a great holiday week! It's fun to play along again -- I need to, more often! Thank you for hostessing the party! Thanks for hosting another party, Linda! What a great party Linda! So many wonderful ideas and people sharing their finds! Isn't it amazing to see what folks are able to score when they get out and hunt? Or sometimes, like me, kind of just stumble onto them? love your mantel Linda, thanks so much for hosting! Beautiful features! Thanks so much for hosting. Your spring mantel is very pretty, Linda. Thanks for hosting. LOVE this link up...thanks as always for hosting this! 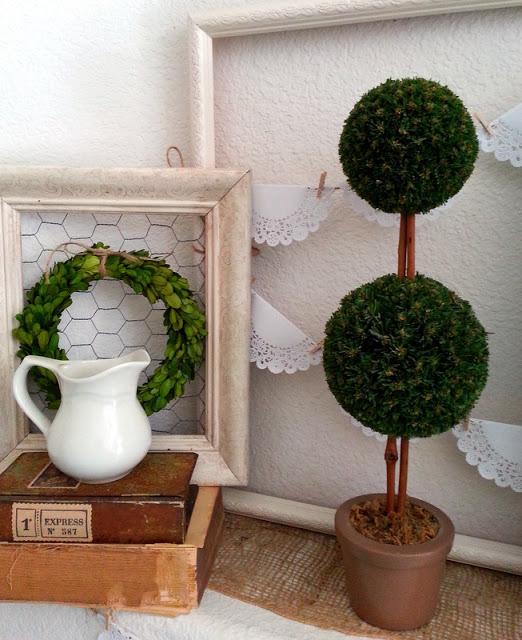 Your Spring mantel is so beautiful. Love the photos and the chippy charm. Thanks for letting us all crash your place for the party. Hi there - all of your Easter decorations are so pretty. Your mantel is gorgeous! 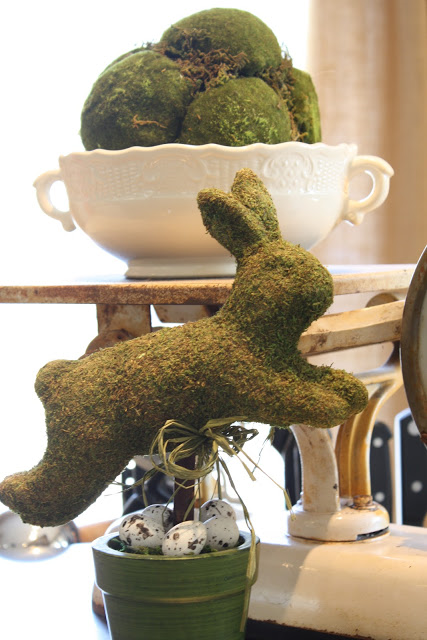 I just made a moss bunny, and I love yours! Thank you so much for hosting a great party each week! Have a wonderful week! I love your Spring decorating, too! Enjoy your week! Hi Linda, hot party tonight! So glad to be here. loaded my link, but photo part would not work. if you see this, and delete mine, I can try reloading. if not, no big deal I guess. blessings and thanks for hosting. Thanks for hosting Linda! I got some great inspiration from last week's linkers so looking forward to more of the same! we had snow most of the day yesterday - what was that all about??? i'm so ready for spring!!! 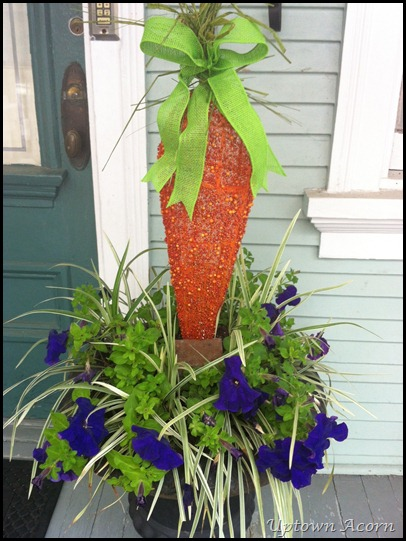 Thanks for hostessing the party, lots of great Easter ideas! Thank you for hosting! I'm excited to be linking up.